Following the attack on Pearl Harbor, the Japanese quickly began expanding their areas of control. 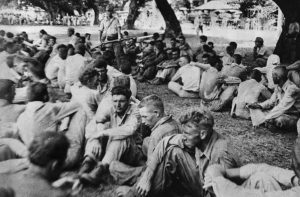 They focused on the Philippine Islands, a United States territory, where tens of thousands of American and Filipino soldiers were stationed. The day after Japan bombed the US naval base at Pearl Harbor, on December 7, 1941, the Japanese invasion of the Philippines began. Without the necessary help from the US Navy, the troops stationed there quickly ran out of food and ammunition. On April 9, 1942, the soldiers had no choice but to surrender the Bataan Peninsula on the main Philippine island of Luzon to the Japanese. It was the largest army under US command ever to surrender. 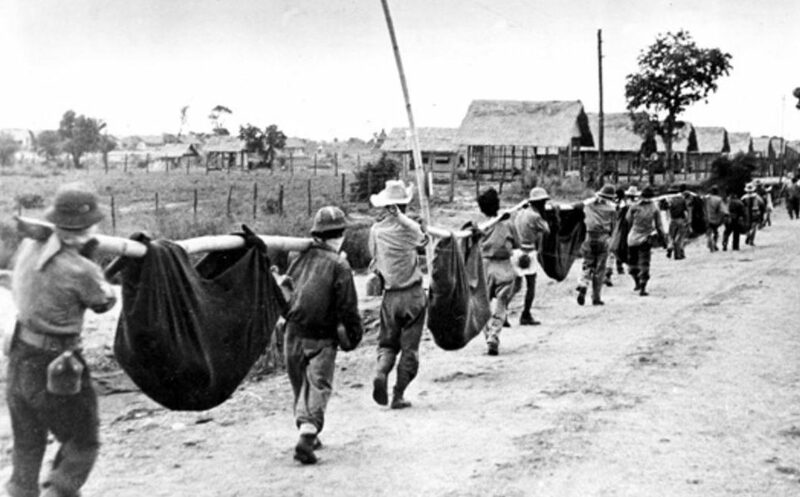 The Japanese didn’t want these prisoners of war to be visible, so a plan was devised to move them inland. The area didn’t have railways, and because they did not expect such a large group of surrendered soldiers, it was decided that they would walk the 65 miles. So, on April 9, 1942, 75,000 Filipino and American troops on Bataan were forced to make the torturous 65 mile march to Camp O’Donnell where they were to be housed. Japan was completely unprepared for the sheer number of soldiers who surrendered that day. The Japanese troops were filled with frustration, coupled with disdain for surrendering troops, which led to shocking brutality during the march. The marchers made the trek in intense heat that further complicated their situation, along with the harsh treatment by the Japanese guards. 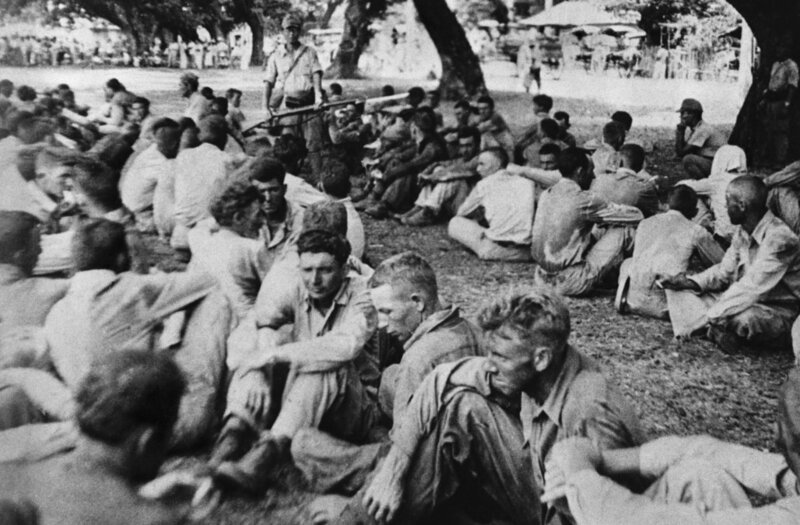 Thousands of men died along the way, in what became known as the Bataan Death March. 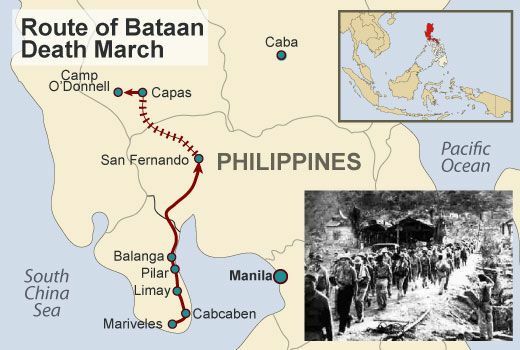 The march began at Mariveles, on the southern end of the Bataan Peninsula. It continued 65 miles to San Fernando. The men were divided into groups of approximately 100, and the march typically took each group around five days to complete. While no one knows for sure, it is believed that thousands of troops died because of the brutality of their captors, who starved and beat the marchers, giving them no food or water, and bayoneted those too weak to walk. Those who survived were taken by rail from San Fernando to prisoner-of-war camps, where thousands died from disease, mistreatment, and starvation. America was pulled into World War II after the attack on Pearl Harbor, and would later avenged its defeat in the Philippines with the invasion of the island of Leyte in October 1944. General Douglas MacArthur, who in 1942 had famously promised to return to the Philippines, made good on his word. In February 1945, US-Filipino forces recaptured the Bataan Peninsula, and Manila was liberated in early March. After the war, an American military tribunal tried Lieutenant General Homma Masaharu, commander of the Japanese invasion forces in the Philippines. He was held responsible for the death march, a war crime, and was executed by firing squad on April 3, 1946. Nice article. Learned about the March and the role played by the Philippines. Thank you. Such a sad event.